It is hard to believe that we are celebrating 20 years of custom, colorful, handmade eyewear! 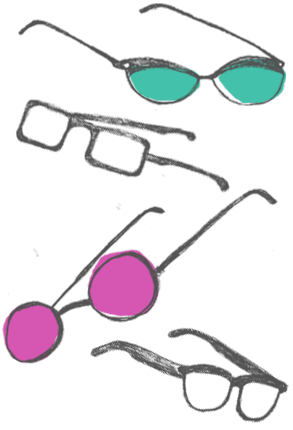 From the day that the Queen of Specs opened the shop doors in October of 1998; colorful, handmade, well-designed, bold eyewear was the driving force. Whether you live around the corner or you are one of our faithful customers who comes to our shop from across the country to see our selection of small, independently-designed and produced lines…thank you for supporting us!! 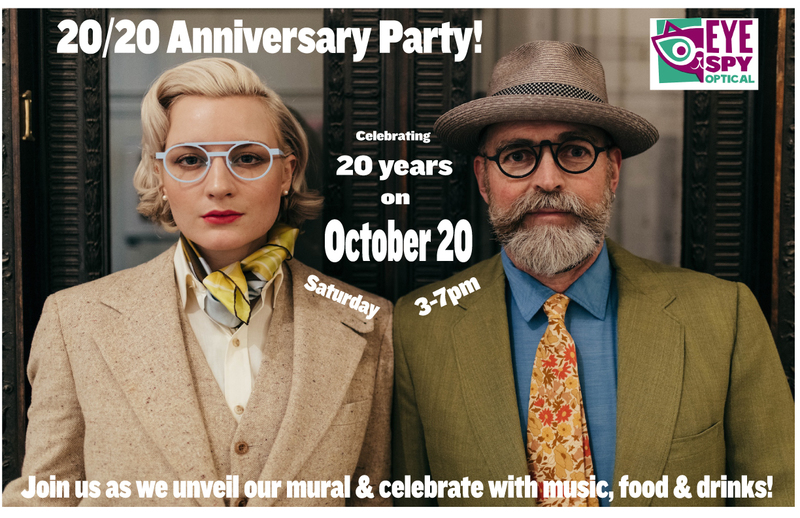 Join us for our 20/20 Anniversary Party from 3-7pm to celebrate with us behind the shop!! We will be unveiling our outdoor mural and having photos taken in front of this incredible new painting by Tracee Badway! Iris the Airstream will be joining us, along with Melissa from JoSnow serving cocktails, & DJ Sasha No Disco.